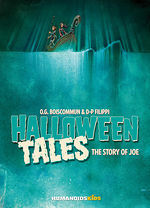 This spooky - yet sensitive - trilogy reveals that, on Halloween, it’s always darkest before the dawn. 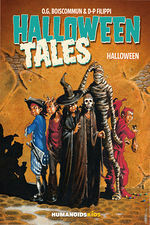 In Halloween, immerse yourself in the great book of the night. And if, at a street corner, you meet a ghost, take a walk with him. You may just recognize him — and if melancholy torments you — he could be the one to make you smile again. 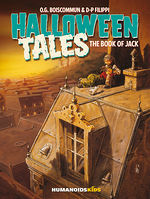 Finally, in The Book of Jack, braving a haunted house, young Jack discovers a mysterious book, a book that tells the story of his life. But what dark twists could others write into the blank pages that remain? Follow these young characters in stories that span from the dusk of childhood to the dawn of adolescence, as they explore the darkness and light in us all. With the targeting of a YA audience, Halloween Tales veers more towards the mystique and beauty of the holiday rather than opting for horror or graphic violence. These may not be the kind of stories you tell your friends with a flashlight under your chin, but they are certainly the kind you can enjoy with your loved ones, curled up under a blanket with a mug of hot cider. Perfect for September, when the air begins to grow cooler and the shadows are cast just a bit longer. The stories flow wonderfully together and all three stand alone very well too. This is a great addition to the Humanoids collection of works.